This paper will have three parts. 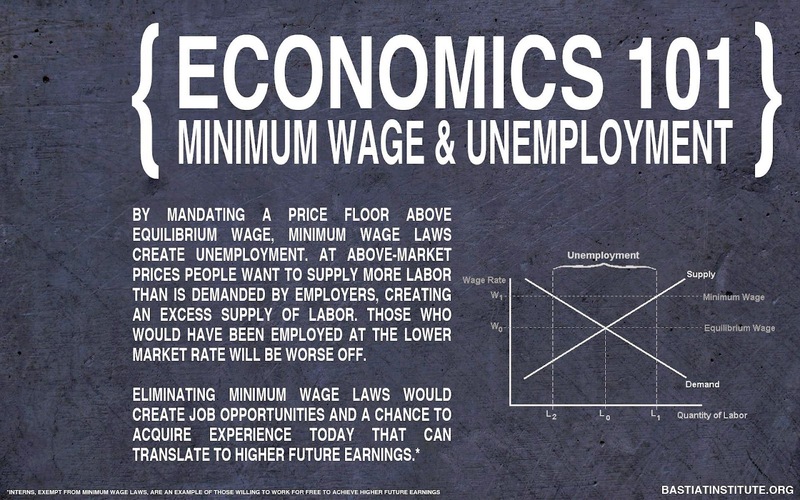 In the first part, I will introduce the economics behind the minimum wage. My argument will be set up (beginning on page 2) and subsequently challenged. I will then defend my position. During the second part, there will be another round of debating, and in the third part, there will be the end of the debate. In the interest of time, I recommend that you read through the whole thing first before going back to click on the links and read the sources (otherwise you might progress so slowly that you get discouraged). In the market there exists an equilibrium. This equilibrium is determined by the balance between the supply and demand of a given good or service, and is dependent on the perceived value of that good/service (dirt is cheap not only because it’s in high supply, but also because it’s not very desirable). Generally speaking, when demand for a product is high the price will increase unless supply also increases, and when demand falls the price will fall unless supply is lower. This is what occurs in a free market that is not acted upon by an outward force such as government. If the government artificially sets a price for a product, the equilibrium will move in response to that force. Usually when something is expensive demand for it will be low since most persons won’t be able to afford as much of it–the exception to this occurs when the demand won’t go away because the product in question is a necessity or perceived necessity, but even then it will at least decrease. Consider this: if water were more expensive we would still need to drink water to survive, but we wouldn’t use as much; just as much as we could get by with. When the price of a product is set at an amount not determined by the market (read: laws of supply and demand) this is called a price floor. A price floor is generally believed to be beneficial to the one imposing it, since that one will receive pure profit for his product. In the long run, however, an increased cost for one product will result in less money being left over to buy other things. If you had to spend 90% of your income on food, for example, you would have very little left over to purchase other things, and perhaps no money left over to purchase luxury goods like musical instruments and working alarm clocks. What most of us don’t realize is that the minimum wage is a price floor on labor. Labor is simply a kind of service, no different from a clown performing at a birthday party and getting paid. So what happens when a price floor is set on labor? Simply put, it reduces the demand for labor because the supply (number of potential workers) remains the same but the price (wage) increases, causing demand to fall. The statement must be closely looked at: a price floor above equilibrium will lead to a decrease in demand. Many persons like to point out that minimum wage increases in the ’60s did not have harmful effects, but that is because the minimum wage has to exceed the equilibrium wage to do any damage. Looking at the graph above, we see that the lower the wage, the less excess the supply will be and therefore the lower unemployment (a surplus of workers) will be. This is why in Singapore, which has no minimum wage, unemployment is at a paltry 2% and poverty is near-0. But why is no one living in poverty if they’re all working for low wages? Because low-wage jobs are meant to give experience that workers can take with them to higher-paying jobs. Most low-wage workers are unskilled and simply need the job to gain experience so they can get a “real” job once they become better workers. This is why the GDP per capita in Singapore is over $40,000. They don’t need a high minimum wage to earn money, they need experience to earn money. And what a minimum wage (assumed above equilibrium) does is makes it less likely for an unskilled worker to be hired because his unskilled work won’t turn the company a profit. That unskilled worker will then be unemployed until later than he would have been otherwise and won’t get his career off to a start until later in life. I didn’t have my first job until 19 and my lack of experience made me unattractive to employers at the MW of $7.25. 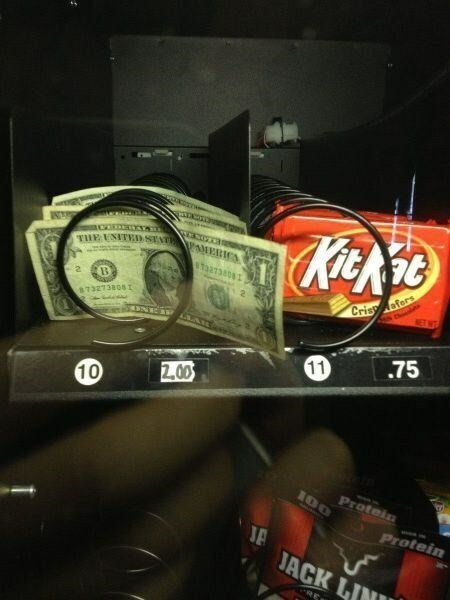 Imagine how unwanted I would have been at $10.10. This, in a nutshell, is the problem behind the minimum wage. If raising the MW above equilibrium creates excess supply, then it follows that the higher the MW is, the greater excess will be. If the job market is bad enough, you’ll see 30-year old workers taking MW jobs because in a bad economy it’s the only option they have and employers will gladly hire someone with skills to perform a low-skilled job; that’s just easy profit! For this reason it is easy to say that the MW doesn’t create unemployment, since in a poor job market there will always be someone else to take your place. What is more accurate, though, is that the unskilled (which are usually teens) become unemployed because they’re the ones whom the MW makes unemployable. The best way to show the folly of someone’s argument is to take it to its logical conclusion. If raising the MW is good for the economy, then that would mean the higher you raise it, the more benefit it would have. A $10.10 MW would be great, but a $22.00 MW would be even better! With that being the case, why not just make it $1,000 per hour, and then everyone would be rich! The answer is that money itself has no value–it is merely a middleman between goods and services. We barter by trading labor for money, then barter by trading that money for our groceries. No one goes to the store to buy $100 because money itself has no value. You spend money for something of value. If the Republican party wants to challenge the MW raise they should (insincerely) clamor instead for a $22 MW and when the president refuses he’ll be the one who “hates the poor,” not Republicans. Unfortunately, 99% of Republicans are statist morons and would never try such a thing. When you read all the reasons for raising the MW you’ll see that none of them are sound. -We need to raise the MW to help the poor. -A MW is not a living wage. -People are stuck in these awful jobs and need a raise. -An increase in the MW won’t substantially increase the cost of goods. -The MW needs to keep up with inflation. -It’s impossible to sustain a family on the MW. -MW workers are dependent on welfare and keeping the MW low will keep welfare costs high. -Making it harder for the poor to find work won’t help them. The MW is really the minimum working wage. If you’re unemployed, you don’t receive any paycheck at all. According to the US Census Bureau, workers who have a full-time job have a mere 3% chance of being poor. (http://myhouseofrandom.tumblr.com/post/123241315080/why-are-people-poor-and-how-can-the-us-decrease). The poor need employment. -The MW isn’t supposed to be a living wage. It’s supposed to give you skills so you can find a better-paying job. -Most MW workers earn a raise and/or promotion within one year of working. -The argument that wages won’t substantially increase costs is based on a false calculation. -Saying the MW needs to keep up with inflation is assuming that workers don’t receive raises as time goes on, and that inflation is just a force of nature rather than a purposeful occurrence carried out by the Federal Reserve. -Working a 40-hour week for 50 weeks/year on MW will net $14,500 before taxes, which is above the poverty line. Also, most MW workers are the second or even third earner in their households, contributing to a much larger total household income. Also, half of them are under 24 years old. -The government doesn’t have to distribute welfare, it chooses to. Every dollar of taxpayer money that goes to welfare is a dollar that didn’t go toward creating new jobs and adding value to the economy. By increasing welfare, the government isn’t helping the poor, it’s just harming the wealthy, which eventually hurts the poor as well. This is why most economists favor abolishing or lowering the MW. An increase in the MW is almost universally agreed to be detrimental or at least non-beneficial. The non-partisan Congressional Budget Office released a report saying that although most MW workers would receive higher pay, “some jobs for low-wage workers would probably be eliminated, the income of most workers who became jobless would fall substantially, and the share of low-wage workers who were employed would probably fall slightly.” (https://www.cbo.gov/sites/default/files/cbofiles/attachments/44995-MinimumWage.pdf) . So now that I’ve clearly laid out the reasons against the minimum wage, let’s jump right in to the debate on the next page!